Recent events like the data breach that affected Target (TGT) customers across the nation have made consumers think twice before using credit and debit cards. In particular, prepaid cards -- onto which customers load a certain amount of money, and which can be used anywhere that accepts debit cards -- have created a great deal of confusion, as many people aren't clear about whether they offer the same fraud protections as credit cards or debit cards. Moreover, with wide variations in fees, it can be hard to figure out which prepaid card is best for you. To make it easier for consumers to choose among prepaid cards, Visa (V) came out on June 3 with a new set of standards. Although issuers won't be required to follow those standards, those cards that meet the requirements will receive Visa's designation, which it hopes will spur customers to demand those positive characteristics. But do Visa's moves go far enough? Let's look. Some of the most important standards are for fees. Visa wants to see banks set flat monthly fees that include everything that cardholders would generally want to do with a prepaid card. Specifically, Visa wants prepaid card issuers not to charge separate fees for declined transactions, in-network ATM transactions, PIN or signature purchase transactions, getting cash back at the point of sale or general customer service. In addition, Visa wants cards not to charge overdraft fees or provide overdraft coverage, which makes sense given that the entire point of the prepaid card is to limit users to the amount loaded on the card. Moreover, Visa wants prepaid card issuers to communicate their fee structures clearly, using some of the same methods that they are now required to use with credit cards, such as fee boxes and simple disclosures. In addition, a quick-use guide for consumers will help them minimize the costs of using particular cards. Visa is including several important provisions for consumer protection. The first requires that balances be protected by insurance from the Federal Deposit Insurance Corp. or National Credit Union Administration, ensuring that if an issuer goes under, cardholders won't lose their unused balances. Visa will also require cards have access to its proprietary Prepaid Clearinghouse Service to provide fraud protection, and the Federal Reserve's Regulation E dispute resolution protections must apply in the same way they do for most bank debit cards. Moreover, by running cards through Visa's Zero Liability policy, cardholders should be entirely protected in many cases of fraud. %VIRTUAL-article-sponsoredlinks%Zero liability might sound like a great solution for prepaid-card fraud, but it's important to understand the limitations of Visa's program. The Visa Zero Liability policy doesn't apply to PIN-based transactions that aren't processed by Visa. And it also doesn't cover ATM transactions. 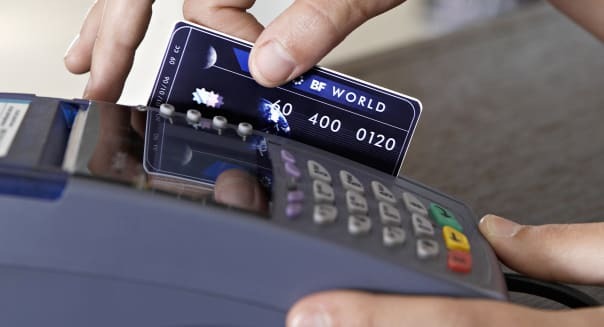 Just as many ordinary debit-card customers found in recent data breach situations, the weaker protection that applies to debit-card transactions makes credit cards look more attractive, and so customers should look into whether they can make signature-based transactions that would be subject to the Zero Liability policy without incurring extra fees. Visa came up with the standards in conjunction with consumer groups at the Pew Charitable Trusts and the Center for Financial Services Innovation, with the goal of making prepaid cards more user-friendly and responding to frequent complaints among users. Although Visa's standards won't be mandatory, some believe that regulators like the Consumer Financial Protection Bureau might eventually use them as guidelines for future regulation. Visa's moves won't make prepaid debit cards perfect, but they'll potentially make it easier for consumers to compare cards and get the best deal. That's a step in the right direction for the prepaid card industry. You can follow Motley Fool contributor Dan Caplinger on Twitter @DanCaplinger or on Google+. He has no position in any stocks mentioned. The Motley Fool recommends Visa. The Motley Fool owns shares of Visa.